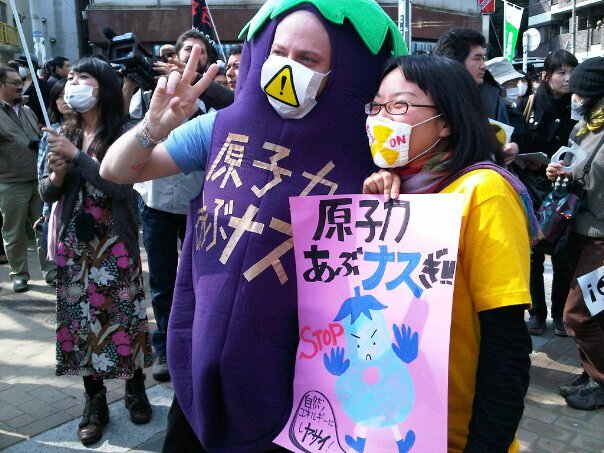 On April 10th, 2011, I participated in the Anti-Nuclear Power Plant demonstration in Koenji, Tokyo with my friends and colleagues at APLA. In the park, where the demonstration was planned to begin, the number of people joining us kept growing and growing. With such a huge crowd of people, it was impossible to see the organizers speech and enjoy the live music performances by various artists. Despite the crowd, I was amazed to see all the colorful costumes and placards people prepared for this marching. Many of the participants seemed to be in their twenties and thirties, which is around my generation. However, there were also many families with young children and lots of foreign people as well. We were unable to start marching at the scheduled time; 15:00. In fact, it took us more than forty minutes to start marching from the park (according to the organizers, the last group of people started marching two hours later compared to the head group). 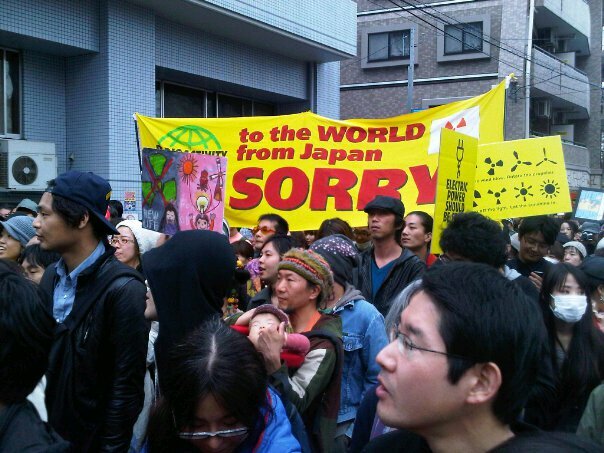 We were surrounded by rappers and street musicians who rhythmically repeated “No more Nuclear!”using their voices and percussions. The atmosphere surrounding us was full of lively and cheerful energy.